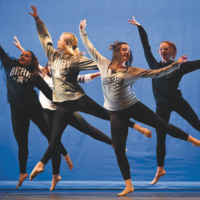 Prism offers a variety of perspectives on everything from current events to personal experiences through the media of dance. The way our gaze connects with the object of desire or the focus of our contempt colors how we see what surrounds us, while our subjective response to how we are being seen informs our reaction to the other. Ballet, contemporary dance, Latin and jazz dance will illustrate the prism effect.